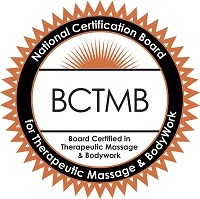 Therapeutic and Relaxation Massage – I perform a blend of Swedish and deep tissue techniques with less pressure. This is ideal for clients who want to have trouble areas worked but do not want to leave the session feeling too sore and want to be able to breathe and relax during the session. Deep Tissue/Myofascial Release – This method combines deeper pressure with slower movements to allow the tissue to soften and open. I use a more targeted approach and pin point and release trigger points or “knots”. Sports Massage – I love working with active people! I am well versed in the many injuries and over use strains that arise from many different types of sports. I understand the areas that might be more sore or tight from golfing, skiing, tennis, running and so on. I can help you in the many stages of training as you have different needs if you are just before or just after participating in your sport. Prenatal and Postpartum Massage – Getting regular massage during pregnancy can help alleviate the strains and pains of an ever changing body! I have taken extra continuing education on the contraindications and precautions of pregnancy as well as the labor process. I have had two children myself and would like to be of some comfort and a resource of whatever questions you may have about the process. Most women will come back with in a month to six weeks after child birth for postpartum massage. I am aware of the pains and strains that come with holding a new born, not getting enough sleep, and sitting while nursing. I understand the precautions of a postpartum body. Quantum Shiatsu – I first studied Zen Shiatsu which is a form of Japanese Acupressure. Shiatsu uses the meridian system as a guide to access your body’s energy system. The Quantum approach adds a deeper meaning to the holistic approach of treating your body and energy system as a whole. These sessions are done on top of your clothing or sheet. It is very different than Swedish or Deep Tissue Massage, but is still effective in working trouble areas. Headaches, Hip and Neck Pain – I have helped many clients alleviate their headache symptoms. Occasionally massage with temporarily make a headache more intense and we can adjust our session to your needs. The hip area is often forgotten about. It is very important in the transfer of energy from upper to lower body in our every day movements and activities. If you are not comfortable with me working on the back of your hip or glutes, I will respect that. If you give me permission to work there I approach is through the sheet as well as directly on the skin. Cancellation Policy: I require 24 hours notice of any appointment cancellations. If you cancel less than 24 hours before our scheduled appointment you will be charged $35.